Babies in the neonatal intensive care unit (NICU) were the first patients to be moved into the new hospital. Jan. 16, 2019 | Ten years ago, on Jan. 16, 2009, Gov. Mike Beebe stood in the unfinished space we now know as the Hospital Lobby Gallery and said, “This place is magic.” The occasion was the dedication of our new 540,000-square-foot, $200 million hospital. 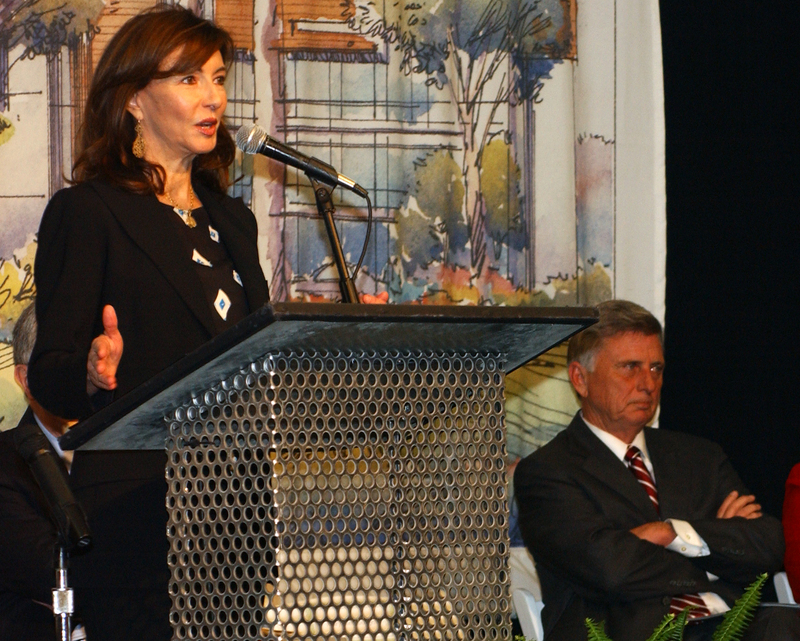 UAMS dedicated its “new” hospital on Jan. 16, 2009. 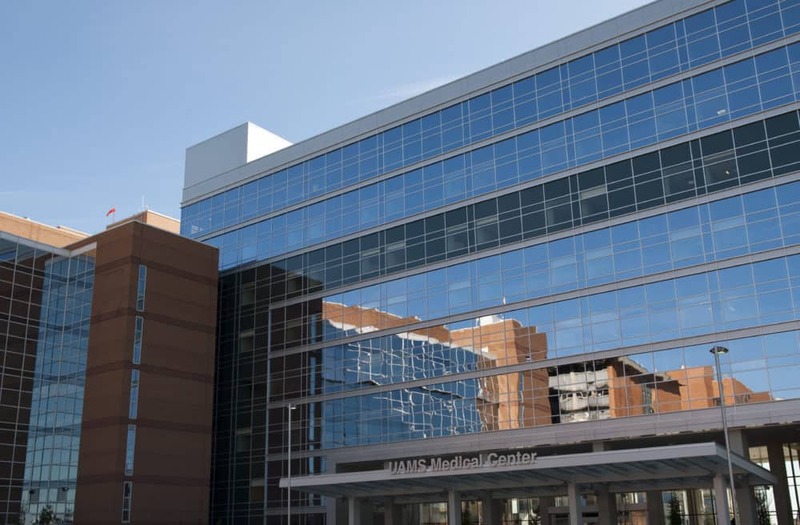 The new facility offered private patient rooms, seven new operating suites, 34 private exam rooms in the Emergency Department, 58 private neonatal intensive care units, a new landing pad for helicopters and 1,000 additional parking spaces. Over the next two days, 300 patients, including 34 tiny babies in the neonatal intensive care unit (NICU), were moved into the new hospital in a carefully orchestrated transition that began early on Saturday morning and ended late Sunday afternoon. 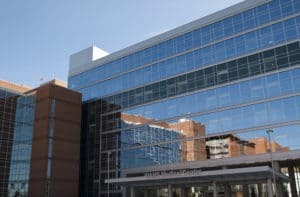 The Emergency Department left its home of more than 50 years on Sunday morning, and the first patients arrived at the new hospital within minutes. In addition to patient rooms, the new hospital added seven new operating suites, 34 private exam rooms in the Emergency Department, 58 private neonatal intensive care units, a new landing pad for helicopters and 1,000 additional parking spaces. Click here to see a commercial touting the new hospital. “This facility has provided an opportunity for us to expand and enhance our clinical programs, paving the way for our designations as a Level I Adult Trauma Center and a Comprehensive Stroke Center by The Joint Commission,” said Turnage. “Additionally, we have expanded and upgraded our operating suite since the hospital opening, allowing for dramatic growth in our orthopedic and transplant programs. None of this would have been possible without this building. 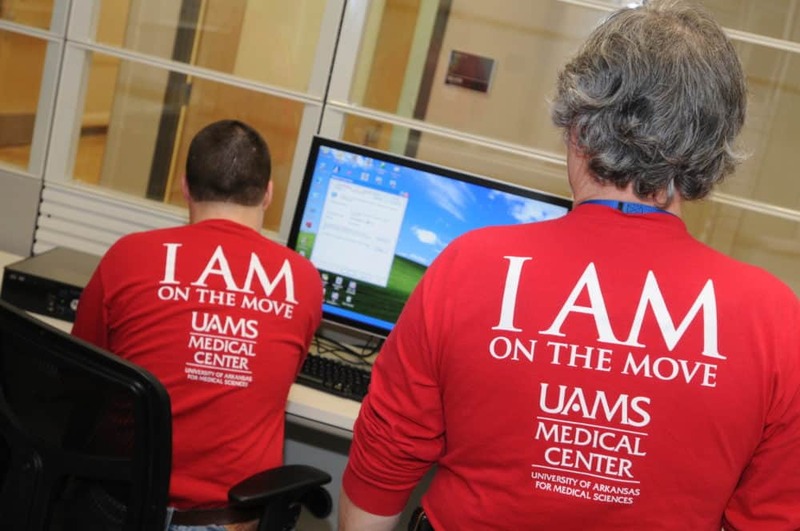 UAMS staff wore long-sleeved T-shirts with “I AM on the Move” as they helped transport patients from the old hospital to the new one. The move took two days. Weeks before the actual move, supplies were packed and stored in large yellow plastic storage crates specially designed to be stacked and rolled from the old hospital to the new. Planning for the move was more tedious and time-consuming than the actual move, which was over in a matter of hours. Before any patients were moved, 2,000 medical devices, 900 computers, 1,000 telephones and fax machines and 300 printers had to be connected and tested. On the two move days, UAMS staff outfitted in long-sleeved red t-shirts with “I AM on the Move” across the back helped transport patients and all their belongings in wheelchairs or on stretchers. Each patient was escorted by a doctor, a nurse and other health care professionals such as respiratory therapists. Once in their new private rooms, nursing staff oriented them and their families to the new space, pointing out the private baths, pull-out couches for overnight visitors and the options for keeping the window shades up, using a light-dimming shade, or using the black-out shade. Actress Mary Steenburgen and then-Gov. Mike Beebe spoke at the dedication of the new UAMS hospital. “The change from the old hospital to the new was dramatic, particularly for our neonatal patients,” said Ginny Smith, director of nursing for the Women and Infants Service Line. “The parents were thrilled to have their own private space, and we could see almost immediately that the babies were calmer and more relaxed in the quieter private rooms. It took a while for our staff to get used to having so much space and not being able to actually see all their babies at once, but once they realized how beneficial the new rooms were for the babies and their families, the complaints went down significantly.